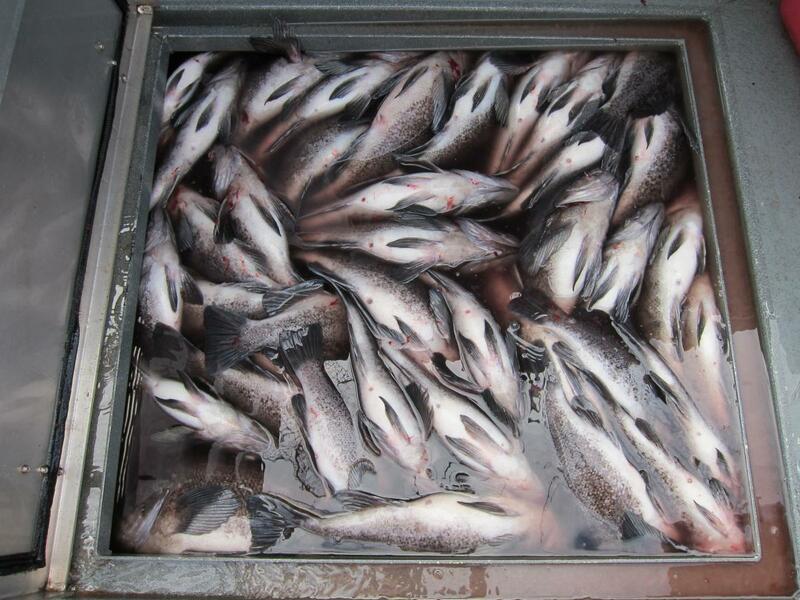 The limit is one halibut per person. On most days you will catch several halibut and our keepers will be in the 30 to 70 pound range with fish over 100 pounds possible. On most of our halibut trips we also limit out on lingcod, the limit is 2 lingcod per person and average 10 to 35 pounds with fish to the mid 40’s possible. 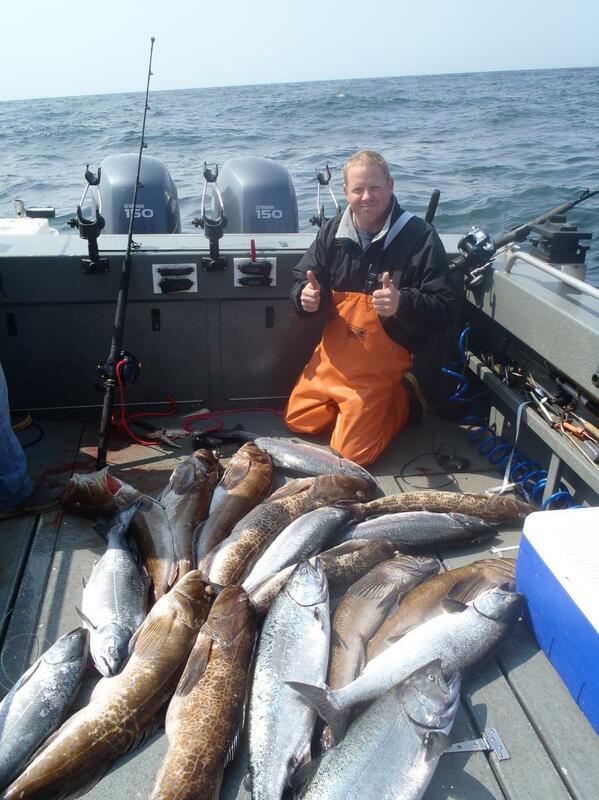 Near shore bottom fishing is open year round out of all of the Washington’s ocean ports. The limit is 10 rock fish per day and they are usually easy and very fun to catch, after we get our limits of rock fish we will spend the rest of the day fishing for lingcod. The near sure lingcod average size is much smaller than the deep water lings only 5 to 15 pounds but it is still possible to catch lings over 30 pounds near shore. Near shore bottom fishing is open year round out of all of the Washington ports. The limit is 10 rock fish per day and they are usually easy and very fun to catch, after we get our limits of rock fish we will spend the rest of the day fishing for lingcod. The near sure lingcod average size is much smaller than the deep water lings only 5 to 15 pounds but it is still possible to catch lings over 30 pounds near shore. Very good fishing! 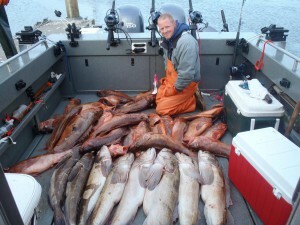 but is only opened 4 to 6 days a year Halibut season opens in May and sometimes lasts till the middle of June deep water halibut fishing is only opened on Tuesdays and Sundays The limit is one halibut per person. On most days you will catch several halibut and our keepers will be in the 25 to 60 pound range with fish over 100 pounds possible. On most of our halibut trips we also limit out on lingcod 15 to 35 pounds with lings in the 40’s possible limit is 2 lingcod per person. 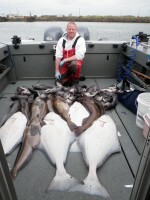 Westport near shore halibut in less than 180 feet of water is open 7 days a week from may till the quota is caught usually sometime in July. Near shore lings are open from mid-march till mid Oct and near shore bottom fish is open year round. On these days we use lighter rods and gear then our off shore days. 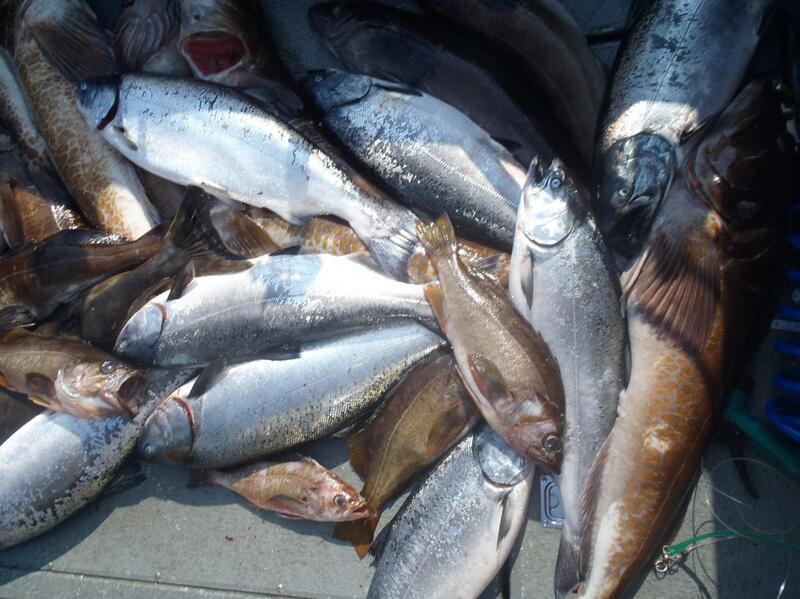 On most days we catch limits of lingcod lots of rockfish and a halibut or two( we do limit on halibut once in a while on these trips but that is not the norm.) We usually split our time evenly on lings, bass , and halibut if you would like to focus more of your time on one type of fish just let us know. 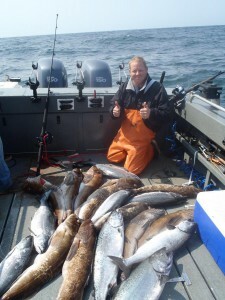 This is a good trip for the first time ocean fisherman with lots of action on bass and lings. 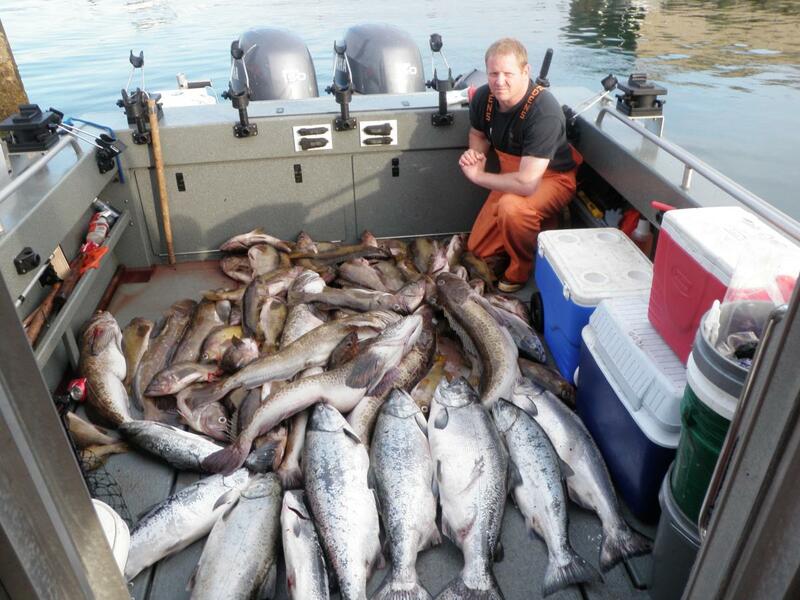 Near shore bottom fishing is open year round out of all of the Washington’s ocean ports.The limit is 10 rock fish per day and they are usually easy and very fun to catch, after we get our limits of rock fish we will spend the rest of the day fishing for lingcod. The near sure lingcod average size is much smaller than the deep water lings only 5 to 15 pounds but it is still possible to catch lings over 30 pounds near shore.